CMHC Insurance: What is CMHC Mortgage Insurance? When you buy a home, your best results will come when you make it a point to make a 20% down payment. 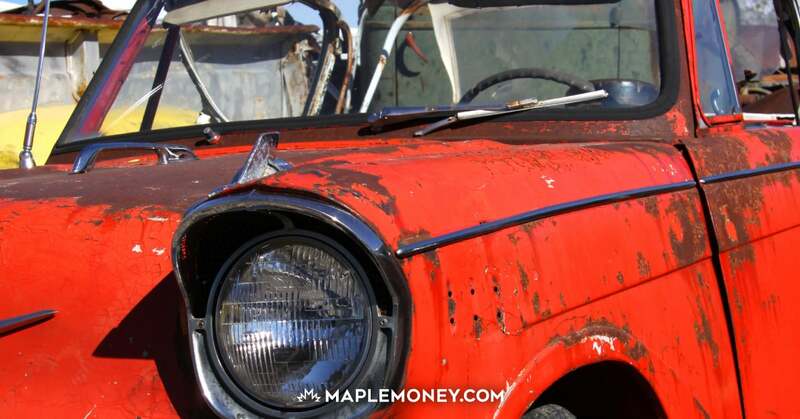 However, for some Canadians, that much of a down payment is prohibitive. So, what can you do if you can’t make such a big down payment? If you are willing to pay extra for your mortgage, you can get special insurance to help lenders feel better about approving you for a loan with less than 20% down. The Canada Mortgage Housing Corporation provides mortgage loan insurance to lenders for home buyers with a down payment of less than 20%, to as low as 5%. It offers a way for borrowers to get away with putting down a lower down payment than a lender might like. It’s one way to boost home purchases in Canada. However, it is important to note that this insurance is not meant to protect the buyer; it is used to protect the lender. CMHC insurance guarantees the bank or credit union that it will not lose money on this high ratio mortgage. If a borrower has more “skin in the game,” he or she is considered less of a risk. A 20% down payment usually represents a large commitment to the home, and a lender can feel reasonably sure that such a borrower won’t default on the mortgage loan. When you pay less than 20% down, the lender worries that the large amount of money provided won’t be paid back. You pay for the insurance so that the lender doesn’t have to worry so much about your default. How Does CMHC Insurance Work? CMHC mortgage insurance is purchased to compensate the lender in the event that you default on your loan. Since it is the lender that is putting up the capital for your home purchase, the lender takes on the bulk of the risk of you don’t follow through. Insurance can help offset some of the risk involved. While you feel as though you are buying the home, the reality is that the lender has fronted the capital for this purchase. If you are buying a $200,000 home, and have a 5% down payment, you are paying $10,000, while the lender is paying $190,000. That’s a lot of money for the lender to lose if you default and don’t finish the repayment on the loan. It is the lender that technically pays the CMHC mortgage insurance premium, though the cost will pass to you. Many lenders add the insurance premium amount into the mortgage, so that you will not need to pay it immediately. This can be helpful, since many people don’t have enough to pay the cost of CMHC insurance up front. If you can’t manage a 20% down payment on your home, chances are that you won’t be able to add an additional amount in upfront costs to cover your mortgage insurance. As you can see, the smaller your down payment, the more you pay in charges. On top of that, if you want a longer mortgage term (resulting in a smaller monthly payment), you have to be willing to pay the surcharge. The longer your mortgage term, especially when combined with a smaller down payment, the larger the chance that you default on your commitment. The entire program is structured to encourage homebuyers to bring as much as they can to the table. Due to the inflation in home prices, this can be difficult, though. That is one of the reasons that CMHC insurance can be so helpful. If you want to reduce your costs, the CMHC has a program that provides a refund of up to 25% of your premiums and no surcharge on extended amortizations if you purchase an energy eficient home, or if you renovate your home to make it more energy efficient. If you are environmentally conscious, this can be a great way to save a little money, as well as the earth. Searching out programs like this can provide you with a way to save more money on your home, and even save money in the future. It just makes sense, if you have the ability to take advantage of these programs. 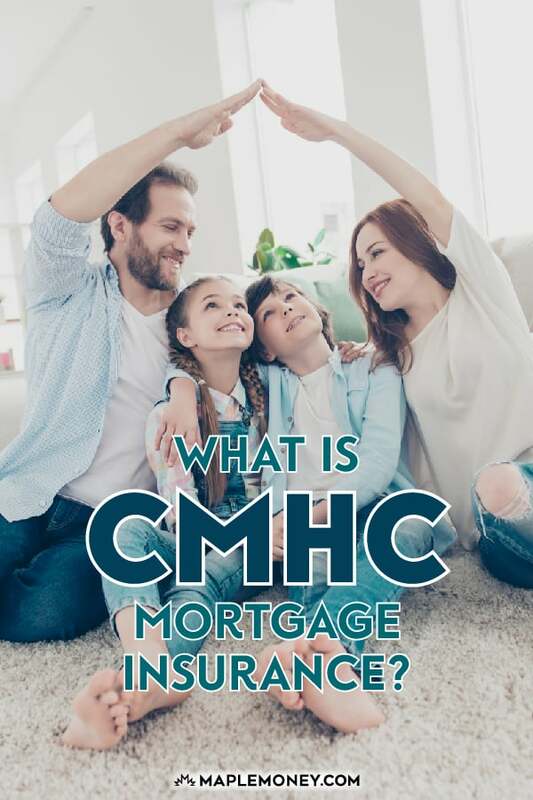 While you would benefit from having a 20% down payment, in both interest and premiums saved, CMHC mortgage loan insurance serves a purpose by allowing people to buy a house with a smaller down payment. Being insured against loss, the bank is less concerned about the higher risk they take on, which allows the buyer to stop renting and start building equity in a home of their own. If you are interested in purchasing a home, this can be a big deal. Rising home prices mean that it takes longer to save up for a big down payment. CMHC mortgage cuts the time in half, and provides solutions to the problem. Before you decide to buy a house, though, think about whether or not you can afford a bigger down payment. Weigh the costs and benefits of saving up for a down payment and paying less over time, or getting into a home sooner, but paying a larger amount over the life of your loan. Each scenario has its benefits and drawbacks, and you will need to consider your current situation, and the way your financial resources are being used. Only you can decide which scenario is likely to provide you with the best use of your financial resources. we bought our home when you needed 25% plus to not pay CHMC and it was tough. I’m glad they lowered it to 20%. If it wasn’t for cmhc it would be extremely difficult to save up an adequate down payment if you also had to pay rent. when do you stop paying the CHMC insurance? Yak, you just pay it at the beginning of your mortgage. Technically it’s the one time, though it can be spread out over the length of your mortgage. Providing they approve your insurance! There are still programs where you can purchase a home with no down payment. If you do the math, they are actually not a bad deal. Where are theses companies in Ontario and what is the interest rate in comparing to the bank rates. How do you compute the insurance premium for a refinance mortgage that borrows from the equity? I’m not positive, but I believe the amount available to be borrowed also counts in your percentage. For example, if you have a mortgage for 50% and you want a HELOC for another 30%, then that counts at 80% since your debt level on the house could potentially be up to 80% the very next day. The premium is added to the base loan amount. The base loan amount is the figure used to calculate your LTV (Loan to Value) ratio. 100,000 Home Value 80,000 @ 80% LTV PLUS the insurance premium. Is there a good benefit that I can get to waive the CMHC Insurance since it is for the soul benifits of the lender not for the borrower which is myself. I just recently bought a property and the cost of CMHCI insurance is $16,300 Which I think is really high. I put a down payment of 10% which the mortgage broker told me to do so plus the transfer of property that cost me $16,200.Is there anybody there who can enlighten me or have the experience with all this process which I feel something in the process is wrong. Please advice or give your comment. Thanks, and have a nice holiday! Now imagine you sell the property after a few years: NO REFUND. CMHC is a disgusting scam. It is not “insurance”. They pay out a small fraction of the “premiums” they take in, so its more of a shakedown racket. And if it were insurance, YOU the payor, would get the benefit – you don’t! The bank benefits. Saving up to input a decent percentage of your down payment to get a better rate is a good idea for the long term of your mortgage as you will save more money overall due to the lowered insurance premium and it also shows the bank you are more committed to the mortgage. Having a large downpayment on a house only shows that you have either a VERY good job or someone who is willing to help you out. As a person who has an OK job but has to spend a huge percentage of that on rent to keep roof over her head, I find the banks viewpoint that a big downpayment somehow makes you more commited laughable. I would do almost anything to be able to get a house, but as a single parent with a child to provide for, the idea that I can somehow come up with 10% for a house in Edmonton with costs being around 200,000 is obscene. All I see are the rich looking out for the rich leaving the hard working poor like me out in the dust. This is an informative read. CMHC has allowed people to purchase their own home sooner, without having to save the 20% down, which means they can pay off the mortgage at a younger age. can i skip a payment once a year if needed, i have been told by the bank i cannot because i am with CMHC and they do not allow this. So what you are saying is the the borrower should take out additional insurance to protect themselves. How sad that individuals with little asset are also paying the most for insurance. I am an +50 woman who together with my partner is trying to buy a home. Because we are both older we do not want to take out a large mortgage. Because of the very high prices of houses and townhouses, we can only afford to buy an apartment or a manufactured home. We have found a manufactured home that suits our needs and have put in an offer that’s been accepted. Our bank is willing to finance the purchase, we have a 20% downpayment but because its in a 50+ park the CMHC is refusing to insure the mortgage loan. Is there anything we can do about this. I feel they are discriminating against me because of my age and economic situation. If I was wealthy and could afford a regular residential home I guess there would not be a problem. It is actually the park in which you are purchasing that is doing the age discriminating. By not allowing anyone under the age of 51 to purchase, they are excluding those of a younger age. CMHC has a mandate to make home ownership available to everyone; therefore they do not provide insurance on properties which exclude people. Age restricted properties are not and will not be allowed under a CMCH insurance program. There are two other insurers in Canada (Genworth and Canada Guarantee). I suggest you contact a broker to see what your options may be with either of the two. Obtain foreign exchange St Albans with all your debit cards at an ATM from the airport arrivals corridor or foyer or the closest bank when you finally arrive at the destination. The alternate rate is normally better from the destination land than at your home. We had the same problem buying a condo. We had three mortgages approved by the bank – all turned down by CMHC and Genworth because they were 55+ buildings. They basically lied the 1st and 2nd times and gave other reasons for turning the deal down but finally the broker and agent were so aggravated they pushed CMHC to the wall and they admitted they won’t insure 55+ buildings – said they were “nursing homes”! We ended up with a $40,000 higher mortgage – which CMHC happily insured – in a mixed age building with pot-smoking party animals for neighbours. CMHC is not supposed to discriminate based on ethnicity, religion, colour, language but discrimination based on AGE is just fine. Check your story. It is clear in CMHC’s policy that they will not provide insurance on age restricted properties. Your bank would not have had to “Push CMHC to the wall” to obtain that info – nothing to admit – it is clear in their publications. I might also mention that CMHC will not insure “Age Restricted” properties. It doesnt matter if the restriction is 30+ 40+ 60+. When you want to sell your house and buy a new one, essentially breaking your current mortgage with the bank, can the CMHC transfer from one lender to another? Or obtain a refund by prorating? If not, that means you would lose that CMHC lum sum, if you move to a new lender for your new home. Your advice is appreciated! Carmen, it is absolutely possible to transfer your already paid premium to a new mortgage (on the same property) with a new lender, but CMHC doesn’t do it automatically, and many lenders don’t think to ask, or don’t know it’s possible. You’ll need your CMHC application number from your existing lender, and you may have to pay an adjustment if the loan to value ratio of your mortgage has increased. You’ll have to initiate the request at your new lender, but it can be done. Good luck! I was wealthy and could afford a regular residential home and I see are the rich looking out for the rich leaving the hard working. We talked to our stupid bank, and they approved us, they gave us the go ahead for a house. Somebody should fire those idiots!!!!!! How pathetic is that??? As if anyone has 20,000 they are going to gift us?!!!?!! It sounds like the real story is that you were unable to provide confirmation of your down payment. If you had the $20,000 and it was not a gift, you have to prove that you saved it yourself and that it didn’t come from debt. The downpayment has to be 100% free and clear, even if it is a gift. If a gift, you MUST provide a letter from the person who gifted you the down payment. I purchased a home 4 years ago and had to insure with CMHC (about $10,000 paid up front). Now I’m selling the home and moving into a rental. Since the insurance covers the life of the mortgage, do they ever refund at a pro-rated level if the insurance is no longer needed? I’m not purchasing after this sale. I have the same problem as Zaak, had to insure the mortgage 3 years ago because need only 5% more to get to the min 20%, (we needed 8000 to have 20%, but had 8600$ premium added to our mortgage, calculate how much it will be for the life time of mortgage :() what the silly decision we made, I wish we had a good consultant. Anyway it’s history now, we’re selling our apartment and for the new house we have 20% down, we also changed the mortgage company and have no relation with the first bank we insured the mortgage for their protection! now who this premium goes to in next 30 years? second company? CMHC?… why when the risk is no longer valid, we have to pay the premium? it’s the most unfair business I’ve ever seen. CMHC provides mortgage insurance to LENDERS not to BORROWERS!!! So, if the banks want to make huge profits by lending you money and to have 100% protection on investment, then BANKS, not YOU BORROWERS should pay loan insurances!!!. $200 000 loan equals $10 000 down payment plus $5 225 loan insurance and $1169.18 monthly payment for 25 years. In the first year bank would collect from you interest in the amount of $9906.35; In 2 years – $19601.71; In 3 years – $29075.30, and so on for the total $150754 in interest paid to the bank in 25 years. If you lose your job and can’t pay – you lose your home. If your property goes down in value and you cannot pay, you will end up in dept. There is no protection for home buyers. For the banks, it does not matter what happens to the house market or to the lender, they will get their interest plus money back on the investment from CMHC. So, the question is why CMHC (taxpayers run organization which supposed to assist Canadians) allows banks to pass this fee to the borrowers. By looking at the banks’ hefty profits there is a margin for the banks to pay THEIR insurance for THEIR investment. I agree 100%. The practice of the banks to have the borrower pay for the cost of CMHC insurance is criminal and should be stopped by the govenment. In May 2012, the CMHC had approved 272 loans for the full $2 billion available under the Municipal Infrastructure Lending Program. I think this is a great thing. If it wasn’t for the CMHC, Canadian real estate prices would not have skyrocketed as they have. The CMHC was a good thing at one time, it is now a subversive, and dangerous, entity. Do you know if any other mortgage insurer will cover mortgages in mobile home parks without age restrictions? We applied for a small loan on a mobile with 5% down and got approval from the bank but declined by CMHC. My broker told me that CMHC is the only insurer that will cover mobiles. We decided to use more of our savings and put down 20% in order to avoid CMHC but have been told they are probably still going to require the insurance and we will probably still be declined???? Does anyone else insure mobiles????? This discussion is really helpful for the new buyers. We went with a 20% down payment just to avoid the CMHC costs. Why should I pay to insure a bank against a loss? Of course, this is a lot easier with housing prices in small-town Nova Scotia. You folks in Toronto and Vancouver trying to get into the housing market really do have my sympathy. I see your point, Fred. However, I think it’s the lender’s rersponsibility to only give out money to people who have the ability to pay it back. In 2008 everyone in the US knew the housing bubble was going to burst and all those mortgages would be bad. But lenders kept handing out their money and then selling off the mortgages as CDO’s, hoping it wouldn’t be themselves holding the proverbial “hot potato” when the inevitable happened. I don’t much care for the fact that a crown corporation exists to protect bankers from their own bad decisions. If I screw up in my job, I am responsible for the consequences. Why shouldn’t they? CMHC are borderline criminal. They don’t help anyone but the banks. They insure the banks against loss with the consumer’s money, thereby leaving the buyer with less money and less ability to pay back the loan they are insuring. The amount I had to give CMHC would have made my payments on the loan for 9 months! If anything it increases risk of default. What a joke, they should be shut down but the banks like having them around and it doesn’t cost the banks a thing so we are stuck with the CMHC. Democracy? Yeah right, when did the people ever matter to the banks or the government? I do think the CMHC insurance is a complete scam. I’m surprised no one has filed a lawsuit regarding this criminal practice. I had to pay mortgage insurance with 10% down 3 years ago to protect the lender. Even though I paid for insurance, I was still mandated to get a guarantor. Now that my mortgage is up for maturity, I am being denied new mortgage applications without a co-applicant to go on title. Now, even a guarantor isn’t good enough for lenders fully protected by mortgage insurance. I am being screwed over after making every payment on time, increasing my credit history and lowering my principal. My income is solid and I have been in the same full-time job for 10 years. The whole system is a total scam that very few people have realized. I’m appalled and disgusted by the whole process! I can’t seem to get the best interest rate unless I agree to ridiculous conditions like putting someone else on title to get the best interest rate. funny, read the article and there is an advertisement that states quote and buy from BMO. Just thought it was funny. Interesting read especially for first time home owneres. I guess it will all depend on what works best for you and the research must be done before you get too caught up in house buying. Thanks for sharing! I am very confused with this CMHC tax. Let’s say I bought a property for $400,000. I just got myself out of a lot of debt and I am looking to buy a property. I am wondering what the advantages would be for saving for 20% down payment. I know as the years go on, the prices on the market will rise quite a bit. Does it make sense to wait to save the 20% down. Hoping someone will answer Sandras question. Seems the best one. I noticed the CMHC fee / insurance is greatest when individual is able to put down 10 – 15%. This fee / insurance is another another legal scam that Canadians will pay! CMHC is just an entity that only knows how to take money. You buy a house and sell it off in a few months and yet they keep the money, even if you transfer the mortgage they still charge you a separate CMHC fees , that a big rip off , The market in GTA has inflated only because of these criminal companies like CMHC and they banks love them cause they get a share of the profit too like a kickback. I have a question and I am hoping you can answer it for me. My husband & I have a mortgage for our home but the lender will not give me insurance to cover the mortgage if I die (because of a history of cancer). It seems to me that if I am required to have insurance to cover the mortgage then how can they legally get away with not insuring me? I would appreciate your thought and expertise. knowing that cmhc is insuring the lender, yet, its the barrower from the lender that got to pay the premium; now, let’s say i have a life insurance that is equal or more of the money i am going to barrow, will that be enough to waive the cmhc? I have a question. I have a CMHC mortgage that is up for renewal. At the time of purchase my down payment was 5%. I am planning on refinancing to borrow more money against the equity of my home. The new mortgage amount compared to the current value of my home will be 80%. Do I have to pay more CMHC premiums on the new money borrowed? I want to move a modular home onto my parents farm land, will cmhc insure it or do I have to have them “subdivide” the land for me first ? It would be in the same yard as their farmhouse also. Do you need a pmi if buying a house from a parent? So you as the buyer are purchasing insurance for the bank. Thats absolutely ridiculous! Why wouldnt the bank add the remaining top up for the downpayment (20%) into the mortgage so CMHC is avoided? They have no problem adding the addition large cost of CMHC to the mortgage. Its really interesting how this is acceptable. The bank needs insurance but they make you pay for it….total scam. For those who speak against paying for CMHC,that is free enterprise. Put yourself in the lender’shoes and you would be making your clients pay the CMHC as well. I have given small loans to people and that is scary enough. I have a question that I would like some clarification on if possible. So, in effect they have now put 20% into the house. Do they still continue to pay the CMHC every month or can they ask to get the payments stopped ? I’d appreciate any comments on this. There is another evil side to CMHC that I am going to bring to the public eye, again. A nice piece of retirement property near a lake was listed at $122,000. I put in an offer and got it for $117,000. I put down 15% (17,550) with fees etc, that “mortgage amount was about $99,000. I had some business trouble in 2008 and was given notice of the pending Power of Sale action. I listed the place real quick for $133,000 – great location in a small town, marina etc…and got an offer for $120,000 on condition of rezoning. I ended up losing the place very quickly. IT WAS CHMC INSURED. The bank, CIBC, turned around and sold the place quickly in a fire sale method for $76,000 to the guy who offered me $120,000. So after the dust settled. CIBC got their $99,000 back. Then CHMC came after me for the $22,000 ??? This just happened to my son, on a 202.000 mortgage that was foreclosed by cibc corruption. Cibc sold place for 61,000 less than mortgage amount to a “buddy” and collected difference from cmhc. During the time he had the place the value increased 20-30% but cibc chose to sell to a friend and stuck him with a huge penalty of $61,000. The home had extensive upgrades as well during time he was there, the ability to pull this type of scam and the enablement from federal govt is worthy of a huge investigation of this type of crime being commited against Canadian home buyers! Our govt supports this criminal behaviour full heartidly. If there is a politician in this country with any moral decency ( which is doubtful ) it would be refreshing to the Canadian public to see some support on this type of white collar crime that is running rampant in Canada!